I really was drawn to this article because of the title...go figure ;-) Peace and blessings to you all! 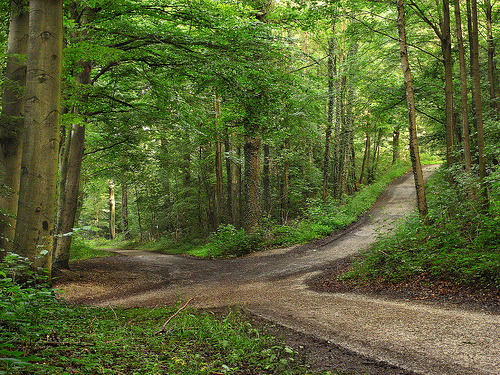 This current spiritual crossroads, impacting you and all of humanity, is an opportunity to initiate a significant change in course direction. As you know, the world indeed needs to change course – in dramatic ways – for humanity to thrive and survive in subsequent generations. We are at that choice point now. We are deciding with our individual and joint energies what kind of world we will have. The world you are here to help birth is a loving world – a place in which people have remembered that they are divine and that the most important thing is love. To birth this, we must choose love in an ongoing way – not from our minds, but from our hearts. This choosing needs to occur all across the planet right now. Your role at this juncture is for you to personally choose love and to stay calm as you discover your own blocks to being the love that you are. Everyone has them, so this is not personal to you. These blocks to love often originate in past lives, leaving imprints in your DNA – surfacing during this life as you attempt to reclaim your power and your voice. More than perhaps any year in the past half century, energy gateways like equinox contain within them an increased potential for shifting out of stuck places and for bringing to light key insights needed before you can take the next important steps of your journey. They are an opportunity to fearlessly face your spiritual crossroads of the moment. Here are five tips to stay calm at this unique spiritual crossroads. Invite your inner wisdom to speak to you as you read, helping you to connect with the most relevant and timely information. First, when you feel shaky or uncertain, remember that you are building a brand-new foundation for your life and contributing to the revolutionary new template for a more loving humanity. Acknowledge yourself for this, stay present, and breathe! Second, when you face a crossroads like this with amplified energy, the tempo of things may feel turned up and you may even feel a bit dizzy. Avoid losing your focus and getting caught up in the world’s illusions by staying grounded and in your heart. It is there that you can connect with the music of your soul, bringing that divine sound out into the world. Third, remember that spiritual crossroads tend to magnify issues and to catalyze your intense desire to be all that you can be. Even if you don’t know exactly what that “is” right now, you could feel an amplified frustration that you aren’t yet at the next stage. Therefore, keep things simple. Complex situations and unknowables are best addressed from a balanced spiritual perspective that allows for simplicity and grace. You tap simplicity and grace by avoiding overthinking and making things a bigger deal than they really are. Fourth, lighten up and think of the bigger picture. Stay calm by letting go of the need to know all the details of things. A less-serious approach will soothe your ruffled feathers and get things in perspective. Fifth, know that it’s normal right now to sometimes feel immobilized by not knowing what’s going to happen. This is part of the spiritual path during these unique moments of time. The crazier things appear in the outer world, people’s doubts and fears tend to get catalyzed. When you are in fear, you may discount what you already know and worry that you are somehow “behind.” Calm yourself right now by remembering the truth: you are encoded at a DNA level to be here now and to discover how to fully express your divine power and authentic voice. You are no accidental visitor. There is a divine spark within you, along with a deep wisdom that will guide you through the unknowns and into the light.